A young back bear stands on a back deck in South Lake Tahoe. 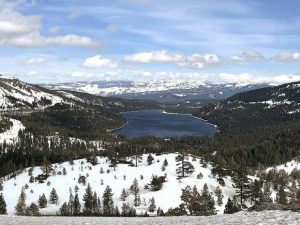 SOUTH LAKE TAHOE, Calif. — With bear activity already occurring around the Lake Tahoe Basin as spring begins, more wildlife will be emerging as warmer weather becomes more frequent. Knowing how to act around bears and understanding their behavior is essential for life in the mountains. This year, bear activity appears to have increased for an unknown reason — even with a snowy winter, which usually translates to less activity. According to Ann Bryant, executive director of the nonprofit BEAR League, many bears didn’t hibernate at all this winter. Bryant said this year also saw multiple instances of bears hibernating and giving birth to cubs underneath homes. She encourages residents to check their home and make sure things like crawl spaces are secure. Although bear encounters are something locals have always dealt with, natural food sources should be adequate this year, discouraging bears from having to search for food near homes. Meanwhile, non-hibernating bears aren’t the only ones around. Although mostly in high country, Bryant estimated that up to 75 percent of bears near Lake Tahoe are up and foraging. She explained that female bears that have newborn cubs are typically the last to emerge from their dens. 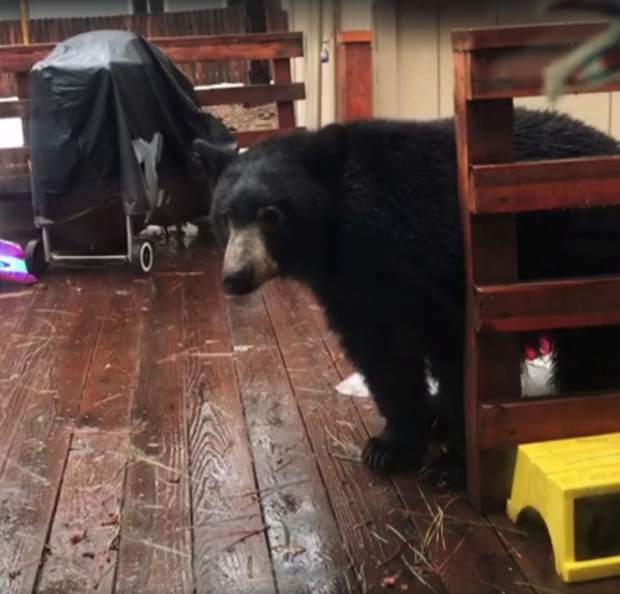 The spring of activity already underway is a reality that South Lake Tahoe resident Joe Ficeto learned last week when a small black bear slowly made its way onto his back deck. With a glass door separating Ficeto and his two young children from the bear, he captured the encounter on video, which he shared on Facebook. The experience, Ficeto told the Tahoe Daily Tribune, was a little nerve-wracking and a little exciting. While some commenters on social media were quick to judge him, Ficeto said he did nothing to attract the bear. There was no food on the back deck, and the family uses bear-proof trash containers. He said he even started banging on pots and pans to try and scare the animal off, but that didn’t work. While he says it’s common to see bears in his neighborhood, which is located toward the western edge of town near The Y, Ficeto said this was definitely the closest encounter he has had. Weather patterns throughout the year can further influence activity. 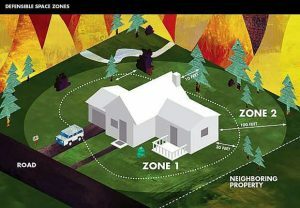 According to Nevada Department of Wildlife public affairs officer Chris Healy, even if bear activity seems minimal, a late-season winter storm can attract bears and other animals closer to residential areas in search of food. Both Healy and Bryant said that anyone living in the Tahoe region or any area that sees bear activity should be “bear aware.” This could include anything from being aware of your surroundings when hiking to securing items that may attract bears or other wildlife. Even if measures are taken to prevent bears from getting into trash or finding food that was left out, there’s always the chance encounter that can occur. Bryant said there are different circumstances in which a person may encounter a bear, and knowing how to react is key. Bryant said encountering a bear while it is in its natural habitat should be harmless as long as the bear isn’t approached or engaged with. Bryant said it’s important to make noise if you are in an area where bears may be. Doing something as simple as talking to someone with you or clapping your hands will let the bear know in advance that someone is coming. The bear will typically leave the area or hide before you arrive to its location. According to Bryant, bear encounters in the woods are atypical for the most part. Encountering a bear near your home could be for a number of reasons, Bryant said, and will involve a different reaction on the human’s part. It could be food or even birdseed that attracted the bear. In these instances, humans should act more territorial and let the bear know it shouldn’t be where it is. Humans acting fondly toward bears or attempting to feed them can create a lot of problems. Bryant said education and appropriate actions are the best defense in dealing with bears.